The (now standard) violence perpetrated by Climate Change activists at the UN’s latest climate boondoggle in Paris, is further proof that Left-wing ideology is the natural home of the barbarian. The mob violence and vicious hatred of the modern Leftist (Climate activist) exposes the sham behind such preachers of peace, tolerance and ‘climate justice’. A frightening thought is that these Leftist ‘ideologues’ are of the very same tribe that we are to entrust with global energy policy. Green groups have described the move as “an abuse of power” but the French Interior Minister Bernard Cazeneuve said the activists were suspected of planning violent protests. “These 24 people have been placed under house arrest because they have been violent during demonstrations in the past and because they have said they would not respect the state of emergency,” he said. They must remain in their home towns, report to the local police three times a day and abide by a nightly curfew until December 12, when the climate change conference winds up. The latest last chance to save the world has begun, with just 200+ arrests so far. Here we go again, the biggest names in the political and climate world are gathering to pretend that they are intent on saving the world again. Quite simply the Oscars of virtue signalling. Yet its is (almost) set in stone that this conference is set to fail in its primary objective. That is, to force rich countries to quietly destroy their economies and for the poor economies, with the highest death rates, to reject energy & prosperity. The Pointman has delved into the details of the Bonn preconference conference and assures us this event is set to fail. Meanwhile there is a timely reminder in a guest post at Bishop Hill on the genuine problem of extreme poverty. What sets COP events out from the rest is of course the side events, the preening, posing, tears and tantrums. We’ve already had #birthmark. Useful idiots tattooing the CO2ppm of their brithday. #Climatemarch, Some people, led by famous people, waving banners demanding: blue sky, stop climate change, stop sea level rise…. The Nobel Laureate repeated his brainless nonsense in 2009. Instead of an ice-free Arctic, we just had the shortest melt season on record – followed by record sea ice growth. 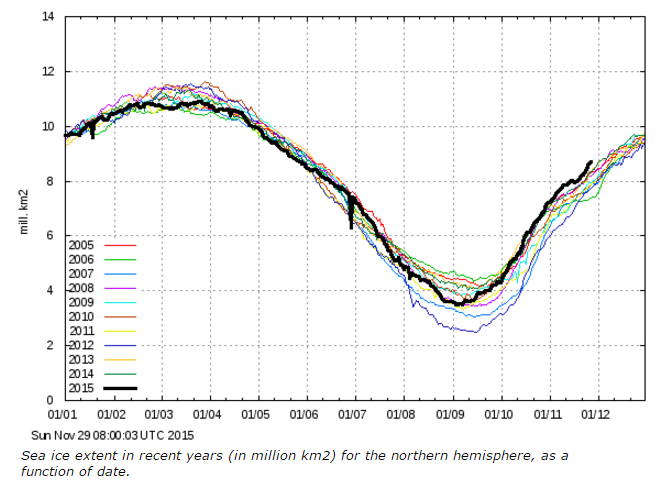 Arctic sea ice extent is the highest for the date since at least 2004. Criminals at the New York Times and Guardian told us recently that Greenland is melting much faster than previously feared. 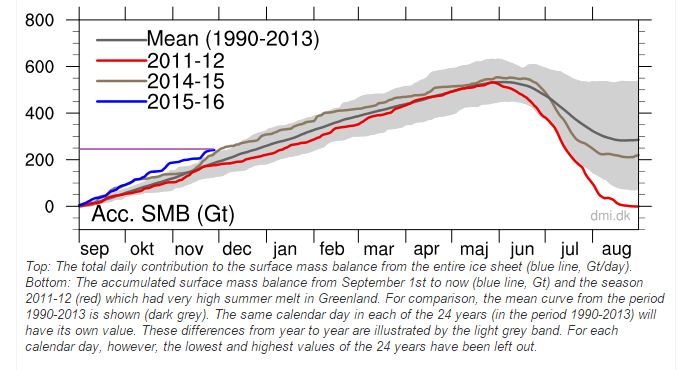 In fact, Greenland’s surface is gaining record amounts of ice, with 250 billion tons of new ice over the last three months. The UN climate agency, the World Meteorological Organisation, has predictably hyped the global warming associated with this El Nino to encourage political leaders to action in next week’s Paris climate conference (”UN tips 2015 as hottest year”, 26/11). However, its press release overlooks the full WMO discussion which notes that this El Nino is similar to three significant events in 1972-73, 1982-83 and 1997-98. It is not an unprecedented event, and past experience shows that prediction of the progress of El Ninos is notoriously difficult. The WMO quotes only surface temperature data, which may be subject to upward biases from meteorological stations sited in cities and ships that are thermal sources. 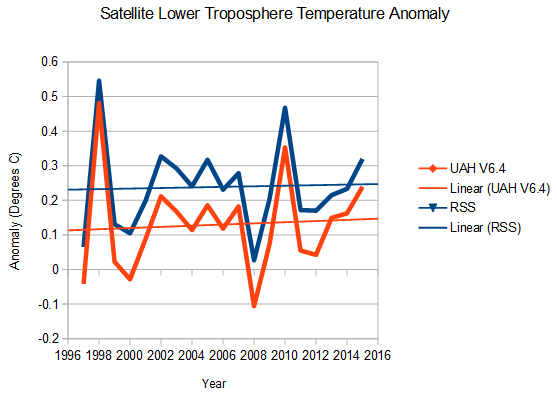 The two data sets of lower atmosphere temperatures as measured globally using weather balloons and satellites were not used by the WMO, but they show a less alarming result — there is no upward statistical trend in global temperatures over the past 18 years, a feature much discussed in scientific journals as “the pause”. Empirical scientists should be alarmed that while the most commonly quoted climate models predict a global temperature increase of 3C per century over this time, it is not happening. 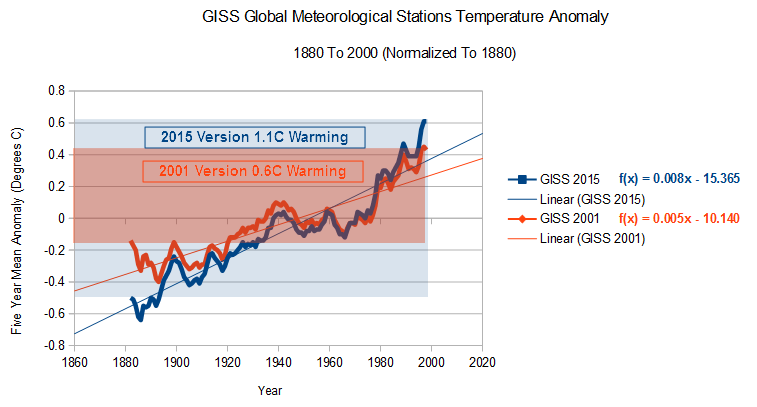 Rather than being panicked by the WMO press release, Malcolm Turnbull and Greg Hunt and their opposite numbers represented in Paris would serve us well by pausing their deliberations until science delivers a global temperature model consistent with measurement. Australia’s premier scientific body and hotbed of climate alarmism, the CSIRO, conducted a similar study with similar results, concluding that global warming ‘believers’ are now in the minority. A recent American study also reflected the same majority shift toward climate scepticism. Fascinating and heartening results considering the bombardment of largely uncontested climate alarmism and breathtaking propaganda that has been hammered out across the mainstream media for years. 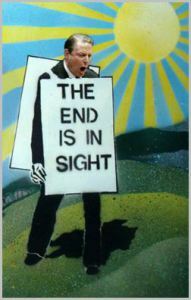 Are prophets of climate doom going out of fashion? The BBC fears so. Public support for a strong global deal on climate change has declined, according to a poll carried out in 20 countries. Only four now have majorities in favour of their governments setting ambitious targets at a global conference in Paris. In a similar poll before the Copenhagen meeting in 2009, eight countries had majorities favouring tough action. The poll has been provided to the BBC by research group GlobeScan. Just under half of all those surveyed viewed climate change as a “very serious” problem this year, compared with 63% in 2009. ‘Green’ energy – wrecking the environment (and people’s lives) to save it. 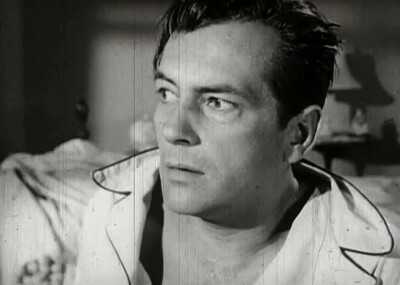 No, that wasn’t a ‘dream’ – it’s an unvarnished nightmare. The state of California has embarked on a 25-year green power odyssey in an effort to reduce the amount of CO2 we place into the atmosphere, all aimed at leading the world in an anti-climate change crusade for humanity. The nefarious intent of NASA/GISS temperature adjustments is no more evident than when dealing with UHI (Urban Heat Island effect). In every case I’ve seen, there is a consistent pattern of adjusting temperatures ‘up’, in the latter half of 20th century, as cities artificially warm with infrastructure growth, rather than adjusting them ‘down’ to compensate for this well known UHI effect. This inverse UHI logic, leading to an increase of late 20th century temperatures, is further compounded by massively adjusting mid-century (1940’s-1960’s) temperatures ‘down’! 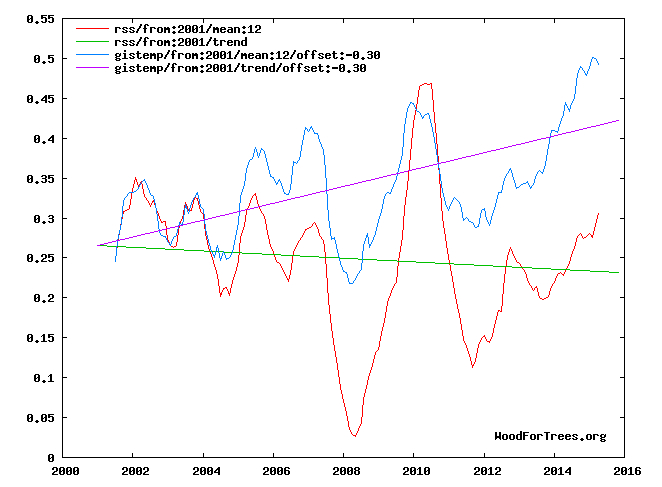 Cooling the past and warming the present, to fit the ‘global warming’ narrative. 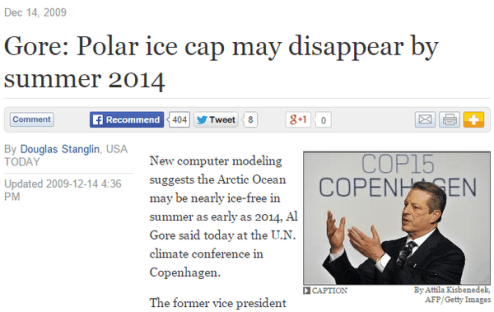 This is scientific fraud and it-is-a-crime. There are only ten GHCN stations currently operating in South Africa, and only one of these, Calvinia, is classified by GISS as rural. It has a population of 9000, and is situated inland in the Northern Cape province. This is the actual temperature trend at Calvinia, based on GHCN V2 raw data in 2011. 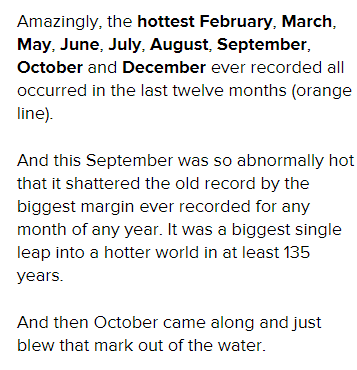 There has been no warming since the start of the record. 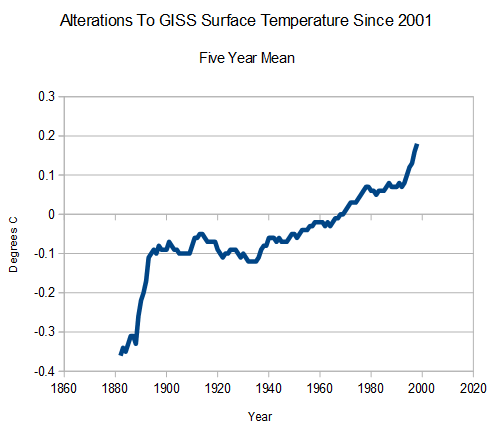 Yet the current version of GISS, which is based on adjusted GHCN data, has miraculously morphed into a sharply rising trend. Temperatures prior to 1989 have been marked down by around 0.7C, and those 1940’s ones by even more. The much more comprehensive and accurate satellite data shows us that the last time there was any ‘global warming’, at all, was when Bill Clinton dumped his own legacy in the White House. “I did not have sexual relations with that woman.” – 1998. 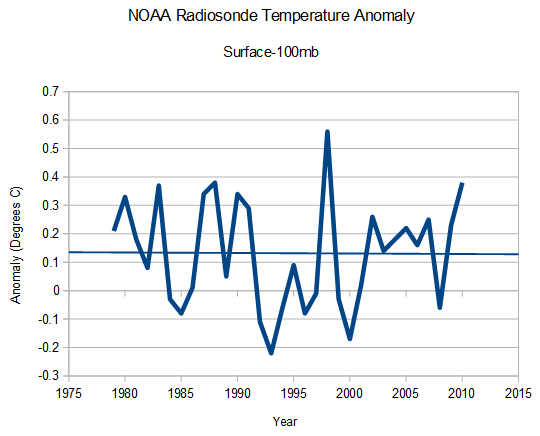 Earth’s atmosphere has not warmed for decades, as shown by both satellites and radiosonde data. However, the White House is desperate to create a fake climate legacy, and had their employees at NOAA and NASA tamper with temperature data – so that 100% fraudulent headlines like this could come out ahead of the Paris conference. The only record being broken is the amount of data tampering going on at government agencies. 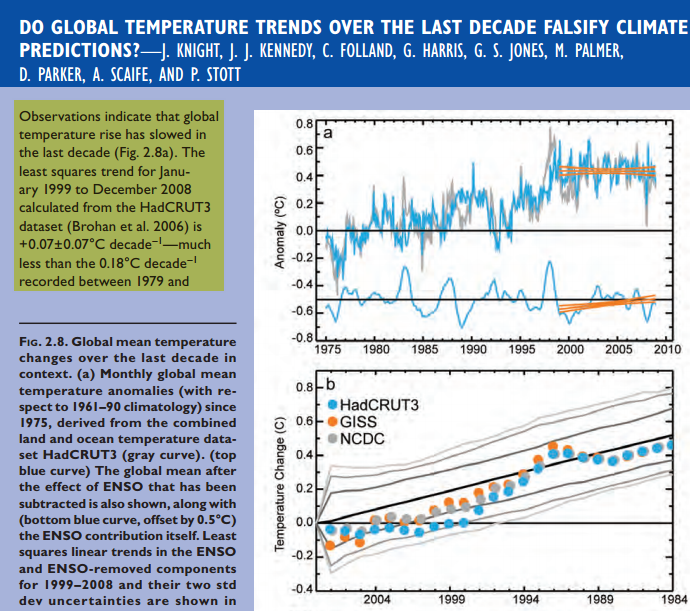 Until the latest massive fraud push ahead of Paris, NASA and NOAA both made it clear that Earth was not warming significantly this century. 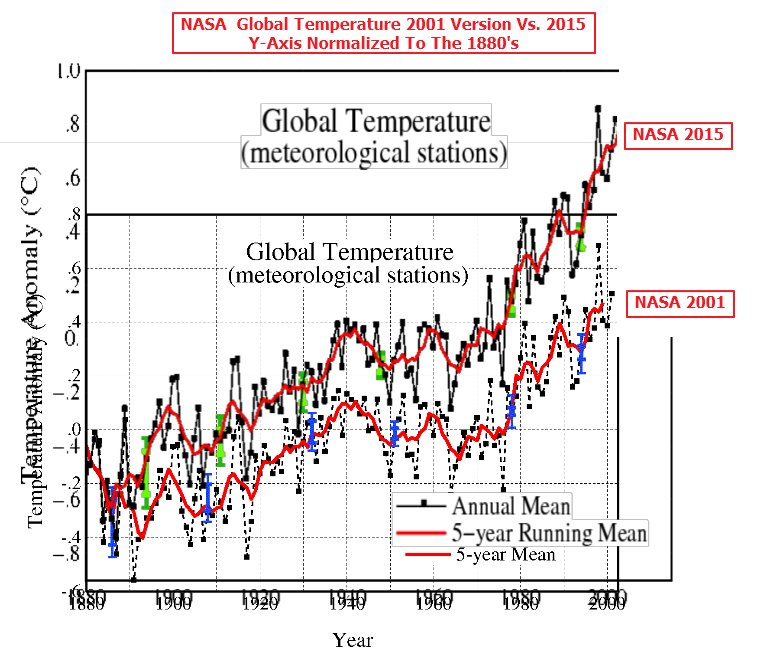 Satellite temperatures make it clear that the NASA/NOAA graphs are nonsense.